Make/Model: Chrysler Sebring LXI. No cables, parts, power adapters, drivers, software, bolts or any other accessories included unless stated above. Exterior Color: Silver. No labor warranty is provided. Trending at $44.67eBay determines this price through a machine learned model of the product's sale prices within the last 90 days. 1966-68 Plymouth, Dodge, B-Body & 1967 Plymouth/Dodge C-Body 273/318/383 P/S Pressure Hose-NOS 2891109. The 67 B-Bodys and Plymouth/Dodge C-Bodys also used this Hose when equipped with a 383 Engine with the Saginaw Pump only. This is a USED ORIGINAL Factory OEM Part and was in good working order when it was removed from a BLUE 2002 CHRYSLER SEBRING LXI Convertible with a 2.7L V6 DOHC 24V FFV engine, Vin# 1C3EL55R82N157934. For sale is a used pressed fit power steering pump pulley for the following applications 1970's-80's Chrysler Dodge vehicles. The inside bore is. 750". We are located in Albany, Oregon. 1972-74 Dodge W100/200 Pickup Truck 318/360 P/S Pressure Hose- Mopar NOS 3637705. May do the 75-77's as well, but we are missing those Years of Parts Books. Will not do the 78's and on. OEM Part # 3637705. This is a USED ORIGINAL Factory OEM Part and was in good working order when it was removed from a 2000 Chrysler Voyager with a 2.4L L4 DOHC 16V engine; VIN #2C4FJ25BXYR878128. For More OEM Recycled Auto Parts For Your Car or Truck. 1970-72 B, C & E-Body 318/340/360 P/S Pressure Hose- Mopar NOS 2891208. 72 B-Bodys, E-Bodys & Plymouth/Dodge C-Bodys with 318/360 Engines. adjust your invoice. 1960-74 1-3/4" P/S Pump (T-Locking) Cap-NOS 2120617. adjust your invoice. Power steering pump with brackets from a 63 Chrysler Imperial. May do the 75-77's as well, but we are missing those Years of Parts Books. Will not do 78 and on. OEM Part # 2960375. 1972-74 Dodge C/CT/CN/CNT Truck Power Steering Pressure Hose. Mopar NOS 2996888. 05 06 07 08 09 10 300 [STEERING_PUMP] 5.7L OEM. Make: CHRYSLER. 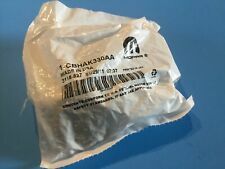 NEW Import Direct 17-1284 Temperature Switch Sensor 078-919-501C Audi Volkswagen. We stand behind all our products. Power Steering Fluid Reservoir Bottle with PULLY. 1997-2006 Jeep Wrangler (TJ). Located in NEW YORK (On the border of Long Island & Queens). smaller parts to HI, PR or US VI. · Dodge Caravan 2005 3.3L Blue/Green – 1D4GP25R55B186064. 1973 Dodge B Van 360 W/Emission Pkg. P/S Pressure Hose- Mopar NOS 3640554. adjust your invoice. PACIFICA 04. PACIFICA 05-06 3.5L. 1974-75 Plymouth, Dodge, A & B-Body with Slant Six P/S Pressure Hose- Mopar NOS 2891504. 74 A & B-Body Slant Six with Maximum Cooling Pkg. 74 A & B-Body Slant Six without Max Cooling Pkg. without A/C built after 12/17/73. DURANGO 04-07 3.7L. DURANGO 04-07 4.7L. 06 07 08 09 FORD FUSION 2.3L POWER STEERING PUMP ASSEMBLY FACTORY 6E513D639AA OEM. ASPEN 07 4.7L.